On September 25, 2010, I decided to take a short class at the Dallas Center for Architecture on notational drawing. As someone who wen to the school of hard knocks for architecture, my graphical skill, I feel, is my largest gap in my skill set. I have always had an interest in cultivating it, but never thought it was completely necessary. I had previously scoffed at architects who said that “you have to draw to be good.” I usually cast the idea aside, since typically these comments come from an older generation of professionals who started their careers drawing by hand, took their exams with pencil and paper, and spent much of heir academic career working on “real” drawing. To be honest, I still feel that way. Architectural drawing is a skill; not a talent. I don’t feel like someone cannot be a good designer simply because they cannot draw well by hand. However, I also had a similar feeling about licensure: many of my peers are well into their 30’s and 40’s without a license, and are principals at architecture firms. Why get licensed? All that meant to me at one point was over a grand in annual dues and education costs. However, after going through the licensure process myself, I understood firsthand that the process of studying for and taking the exams is not only a right of passage, but is also a rewarding experience that makes one a better architect. Perhaps, so it goes with drawing. Maybe this skill, just by the practice of DOING it, makes one a better architect. Who better to experiment on but myself? Kevin Sloan with Kevin Sloan Studio gave this class at the DCFA. He is a landscape architect who also teaches at the University of Texas at Arlington. I attended another lecture of his, called Parallels, so I knew this guy is someone to listen to. For the first session, he went through his slides, showing many of his annotative drawings – basically a record of a building, seen by an architect’s eye – and described his process as a conversation with the original designer – how did you do this? What proportion is this and how does it relate to the whole composition? He said this process helps the drawer see the building in a whole new light. At first, our small group had little to say after taking all of this information in – then there was a lot of talk of the new generation of professionals who can’t draw and what that meant. I sat quietly and listened to the banter. 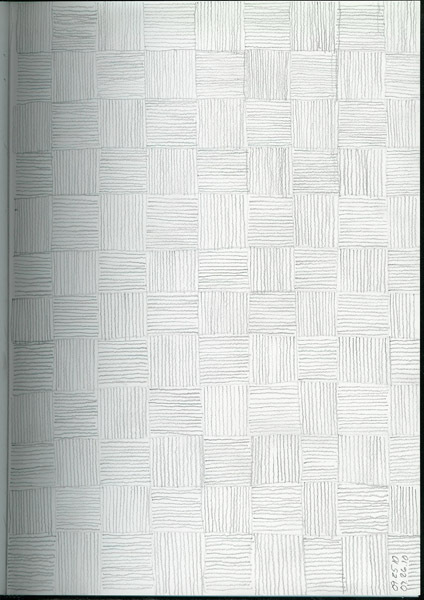 Not great by any means, and I certainly had a lot of issues as I divided the page inch by inch as the grid moved to the lower right corner. Even still, I went with it and filled it all in. This process did get me to feel more comfortable with the page, and I am ready to continue. This may get embarrassing after a while, but I stopped caring about such things after I bought the smart car. So, we will see how it goes. I am going to try to draw something every day. I’ve got a list of drills and other exercises to do first, so I have enough subject matter – and some will take quite a while to make, I’m sure. But I’m ready to push ahead.